We welcome singers of all levels of experience from those who have only sung in the shower to experienced voices. It is not necessary to read music, and those members who joined us with no technical knowledge have picked it up over time and blossomed as accomplished singers. Our Musical Director, Helen Swift, who takes us from strength to strength believes everyone can sing given the opportunity and the right guidance. We have recently had an influx of lady members and are now seeking more men to join the ranks and keep our lovely harmonies in balance. So gentlemen, your local choir needs you, even if you were told at school that you couldn't sing. Come along and see how happy a jolly good sing can make you feel, and chase away those everyday cares. 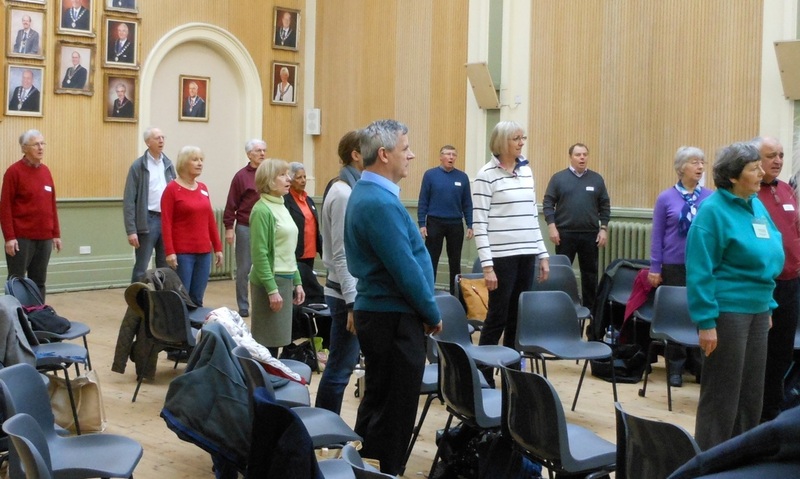 You've seen choirs on Britain's Got Talent, it's great, come and try it yourself. We don't sing because we're happy; we are happy because we sing! If you have any questions please do not hesitate to Email too. If walking in on your own for the first visit is a little daunting we can arrange for a member to meet you and arrive together, or even better you can bring a friend. Please address Non Membership questions to our Secretary, Amanda Hobrow.